Across the street from our church lies a gem spawned out of the heart of Lori Reames. 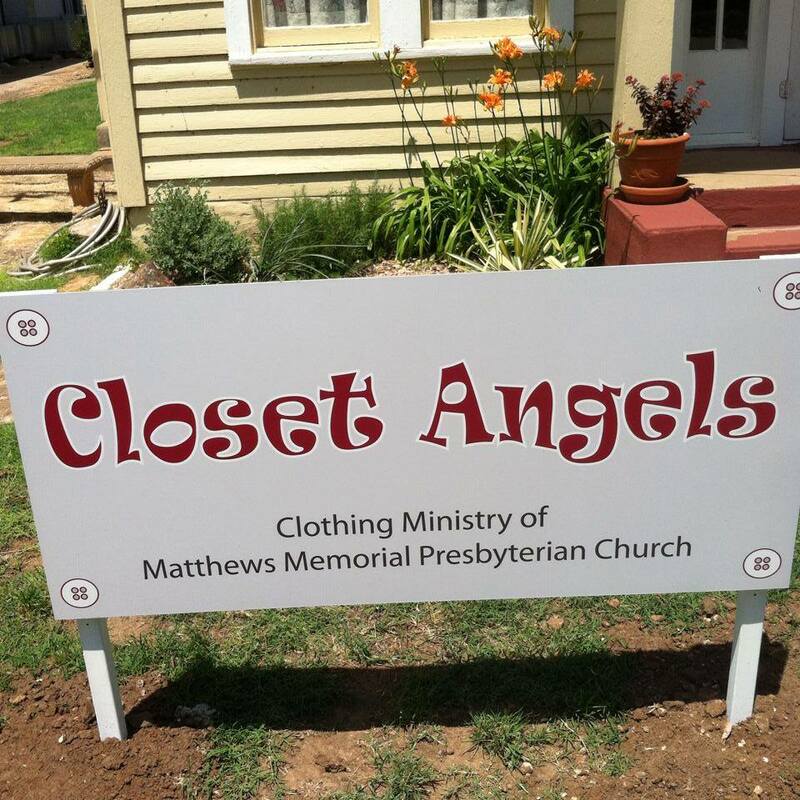 Closet Angels is a ministry that provides clothing to any and all in our town who are in need. Closet Angels is a blessing to many in our town. If you have any clothing needs, please know this ministry is here to support you. If you have clothes to donate, please consider dropping them off at Closet Angels. We believe God is honored by sharing. We believe God smiles when we live as though we are all one family. We believe God is glorified when clothes are not seen as something that divide us but instead unify us. Hours of Operation: Wednesday 12:30-5:30 p.m.; 2nd and 4th Saturdays, 10 a.m.-1 p.m.